Introducing the New TipGuard™ Spray Tip Protection System from Greenleaf Technologies. It’s easy to damage spray nozzles when you’re running hard and fast to get a field sprayed before a storm hits or you run out of daylight. That’s why it pays to equip your sprayer with Greenleaf Tech AirMix® nozzles with our new TipGuard Spray Tip Protection System. The TipGuard System protects spray nozzles from damage caused by impact with ground, fence posts, irrigation systems or other obstacles. 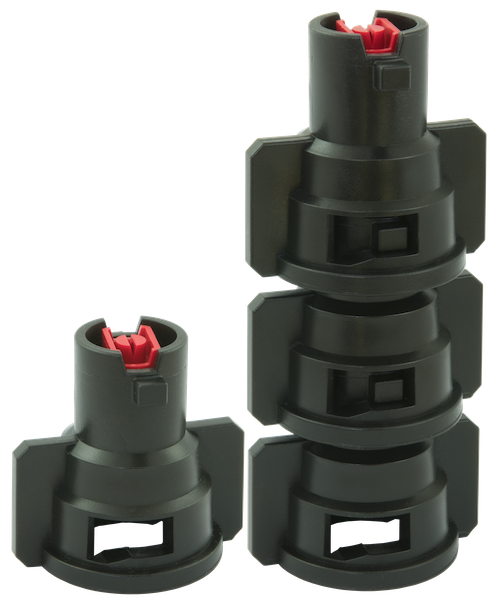 Best of all, our AirMix nozzles with the TipGuard System are no more expensive that comparable nozzles without tip protection.